The Razzari Auto Centers knows that minivan lovers adore their vehicles for the space that they provide. However, they also know that customers demand more when it comes to fuel economy. Now, the new Dodge Grand Caravan offers customers both. It takes a lot of fuel to move a 3,600 pound vehicle down the road. Dodge added technological features that help to improve the fuel economy of their premier minivan. The fuel economizer can be turned on with the push of a button. This changes the timing of the engine and adjusts the transmission shift points to make them more fuel efficient. Low resistance rolling tires add to the economy. 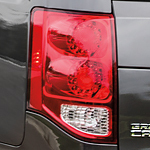 This allows the Grand Caravan to achieve fuel ratings of up to 17 mpg city and 25 mpg highway. That is pretty impressive for a vehicle of this size and gives customers even reasons to love their minivans.